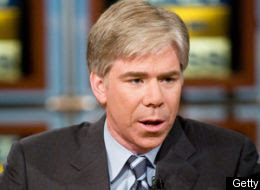 Despite my prediction that the Meet the Press moderator position would go to MSNBC's political director Chuck Todd, the powers that be have ignored me and given the position to MSNBC's David Gregory. Of course, this isn't official yet... but all the bloggers are saying it. I don't even know why traditional media exists anymore! P.S. I like Gregory - very even, a good choice for moderator.